The Skull Rear Lens Cap from LenzBuddy is designed to fit all Canon interchangeable lenses. 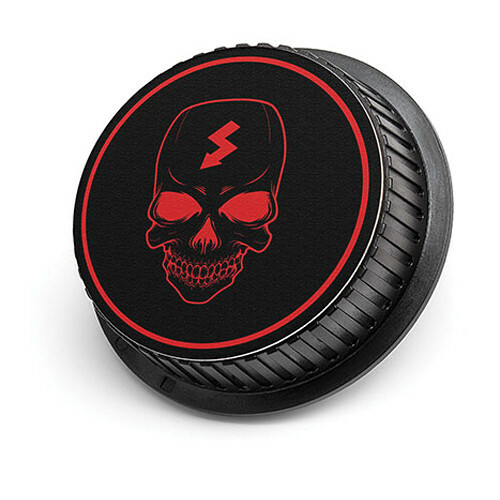 The black and red skull design on the lens cap adds a touch of personalization and also makes it easy to identify your lens. Box Dimensions (LxWxH) 6.0 x 3.6 x 1.0"